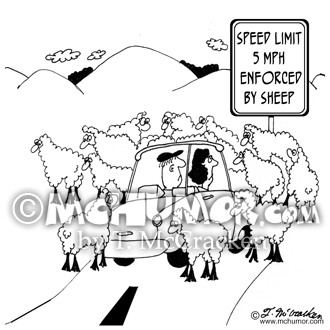 Sheep Cartoon 6008: A road sign, "Speed Limit 5 MPH. 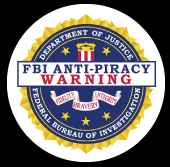 Enforced by Sheep." Cars are stopped as sheep cross a road. 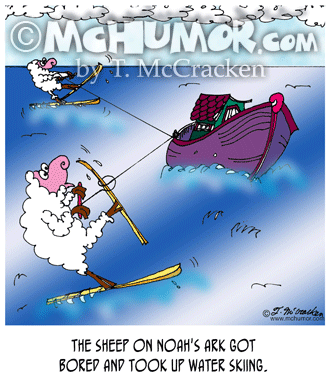 Sheep Cartoon 6769: A shepherd in the middle of a flock yelling, "Nobody move. 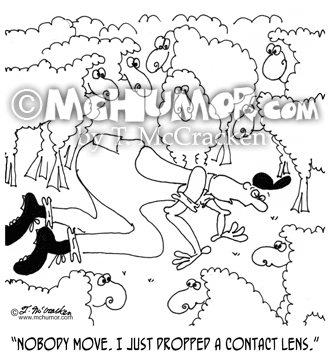 I just dropped a contact lens." 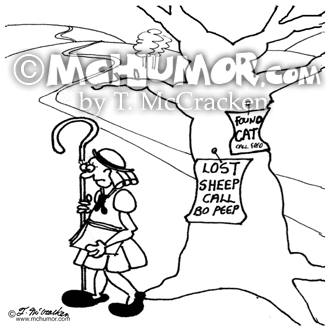 Sheep Cartoon 3225: Little Bo Peep posting a "Lost Sheep" sign on tree next to "Lost Cat" sign. 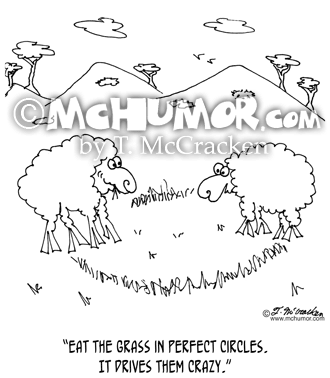 Sheep Cartoon 6694: A sheep says to another, "Eat the grass in perfect circles. 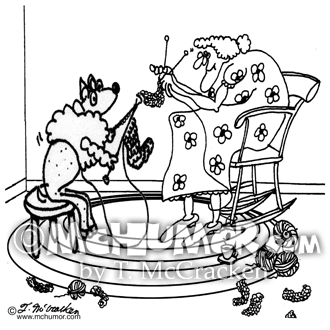 It drives them crazy." 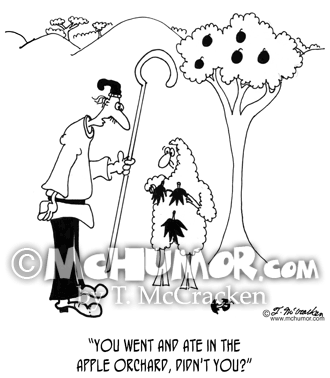 Sheep Cartoon 6009: A shepherd looking at a sheep in a fig leaf says: "You went and ate in the apple orchard, didn't you?" 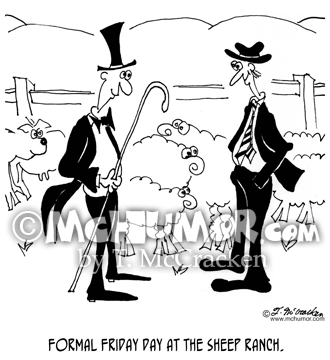 Fashion Cartoon 6649: "Formal Friday day at the sheep ranch." The hands wear tuxedos. 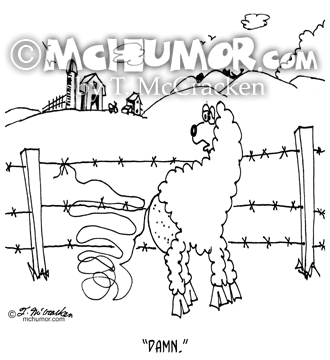 Sheep Cartoon 7802: A sheep unraveling is caught on a fence says, "Damn." 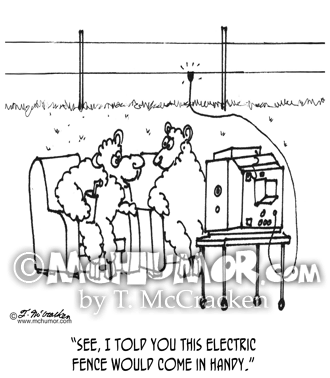 Sheep Cartoon 3217: Sheep with a TV plugged into an electric fence say, "See, I told you this electric fence would come in handy."